Stu Levitan has recently published the civic history of a turbulent decade, “Madison in the Sixties.” No, it’s not a groovy, tie-dyed memoir of hippie life. In fact, as Stu tells us on this program, much about the Sixties in Madison was not groovy at all. The battle to build Monona Terrace was a decade-long civic failure; the city struggled with urban renewal and civil rights; the University of Wisconsin was a national center of antiwar and civil rights protests – some violent. But the Sixties were also a colorful time in which significant figures of local, state and national history were making their mark in Madison. 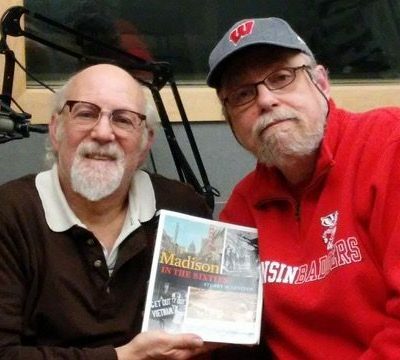 On this program, All About Living producer, Jim Bartlett, talks with Stu Levitan about what Madison was really like in the sixties.